Kazakhstan is the latest member of the Eurasian Economic Union (EEU) to adopt the accession of Kyrgyzstan to the bloc. Kazakhstan’s President Nursultan Nazarbayev signed a corresponding law on Tuesday. Before that, the document was ratified by the EEU members Armenia, Belarus and Russia. Kyrgyz President Almazbek Atambayev signed a bill on his country’s accession to the EEU on May 21. Atambayev told TASS last week that Kyrgyzstan would open its customs borders to other EEU member states soon. According to Kyrgyz Minister of Economy Oleg Pankratov, Kazakhstan decided to abolish sanitary and quarantine control on the state border with Kyrgyzstan. Kazakhstan is the only EEU bloc country to have a border with Kyrgyzstan. The Eurasian Economic Union was started in 2015 based on the Customs Union of Russia, Kazakhstan and Belarus. Armenia soon joined the union. The bloc was launched to ensure the free movement of goods, services, capital and workforce within its borders. 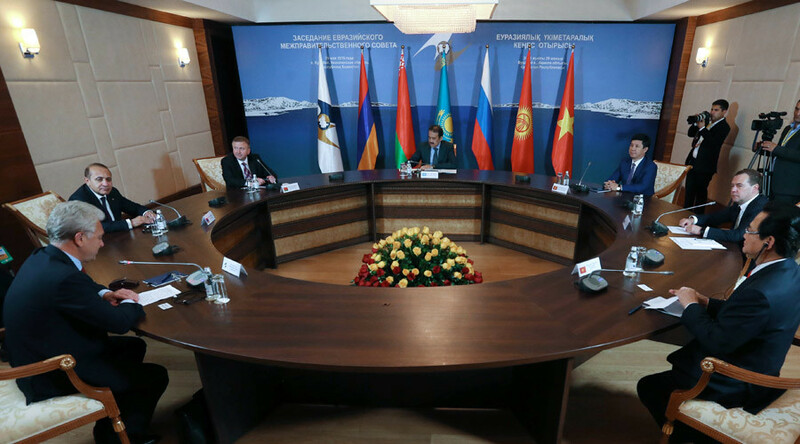 Many countries have expressed interest in setting up a free trade zone with the EEU. Vietnam has already signed the agreement, while India is on the way. Thailand is expected to launch a free trade zone with the EEU in 2016. Syrian Prime Minister Wael Halqi said in July that Damascus wants to join the Eurasian Union and set up customs-free zone to boost economic relations with friendly states.